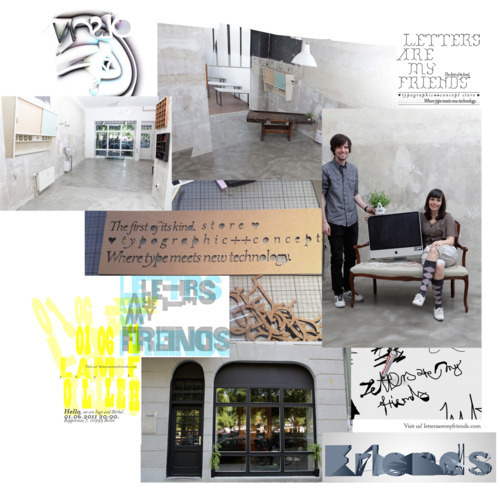 Letters Are My Friends | OPENING! Dear Fans of well dressed alphabets, good shapes, perfect keyframes and fine codes, Letters Are My Friends have a new home. Enough renovating, now it’s time to say ‘Hello!’. 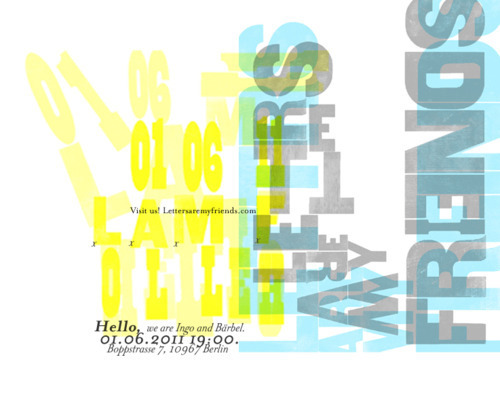 On Wednesday 1st of June from 8pm we cordially invite you to visit us at Boppstrasse 7 in Berlin Kreuzberg. We welcome you to our little showroom and lab that is dedicated to analogue and digital typography in combination with new technologies. We are also celebrating our lastest Letterhead Rico Rockwell. Bring along whoever you like – wether human being or abstract glyphs. Keep your kerning tight! Become a letterfriend and wear your handwritten badge with a funky name.